Our distinctive eyeglass-shaped aluminum sign has caught the attention of Russian eyecare professionals. 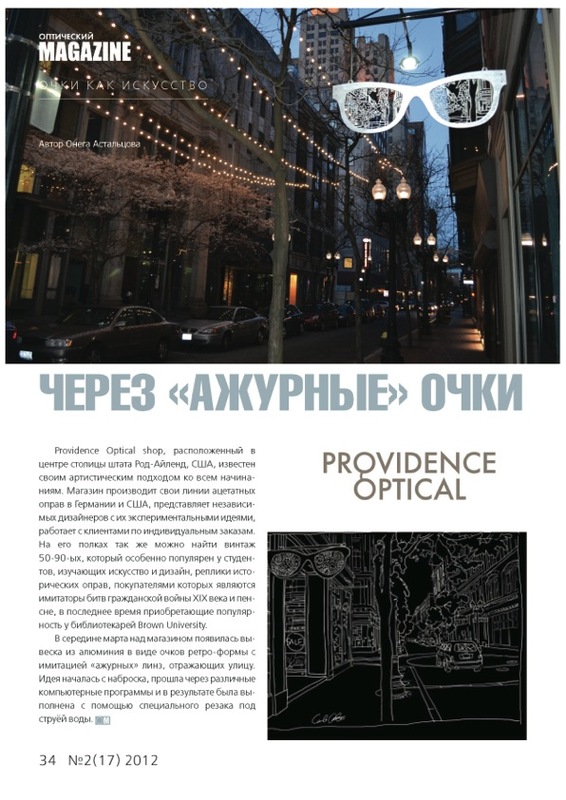 The Moscow-based “Optical Magazine” ( ОПТИЧЕСКИЙ Magazine) — a national magazine for eyecare professionals — featured a story about our sign in its April 2012 edition. “Optical Magazine’s feature article about Providence Optical’s unique street sign. What makes our sign so unique isn’t just the shape of the eyeglass frame. 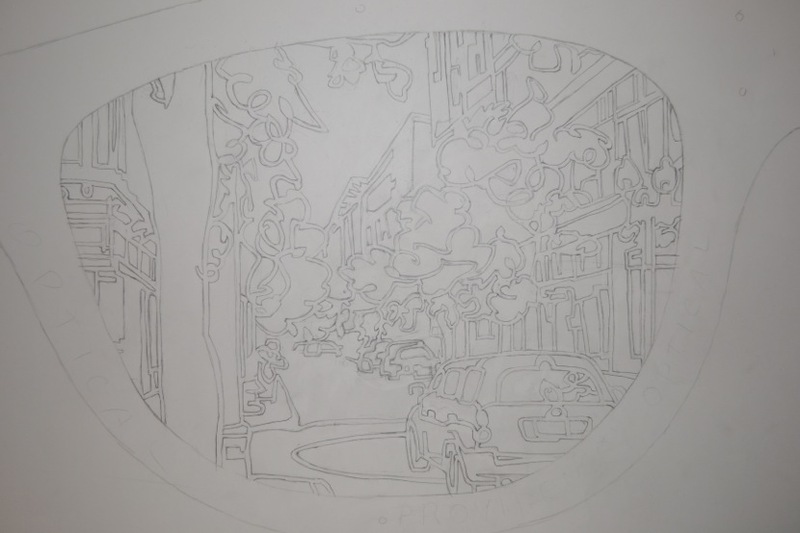 It’s the inset — a street scene depicted in the “lenses”, as if you see the street behind you reflected in the eyeglasses of an invisible giant standing in front of you. The “lenses” are actually a fine, filigree-like layer of aluminum set between the two layers of aluminum that make up the eyeglass frame. Instead of using conventional laser cutting, we opted for water jet cutting, which gives a smoother line and allows for a more intricate design. We put a lot of thought and effort into the scene to give it the right blend of greenery and the bustle of city life. It all started with a hand-drawn sketch and, after several iterations, we turned it over to Westar, LLC of Wisconsin, which did the cutting for us with its special water jet tool. The bold aluminum frame gives a sharp, edgy appeal, while the delicate and whimsical street scene provides a contrasting subtlety and softness. People stop and stare, and that’s just the way we like it.